Exclusive, secure and all-inclusive...this is the luxurious township of Tropicana Golf & Country Resort. Possess the freedom of building your own dream house on verdant land. Take up residence in a choice of link, semi-detached or bungalow lots overlooking picturesque landscapes and lush greenery. Enjoy fuss-free modern condominium living. These and more deluxe housing choices are yours to enjoy when you choose the Tropicana lifestyle. Life and leisure in the Tropicana Golf & Country Resort is fully self-contained. Every resident is served by the 450,000 sq ft Tropicana Clubhouse – the heart of the Resort – set amidst the rolling green. Adjacent are 27-hole of the East and West golf courses to delight avid golfers day and night. Schools, medical facilities, restaurants, shopping, sports amenities or simply wide open spaces to rest the mind – at Tropicana Golf & Country Resort, the best of country living and city convenience converge seamlessly. "…because life is to be enjoyed". This is the simple, straightforward philosophy long held by none other than Tan Sri Dato' Danny Tan, the advisor & founder. This vision for the ultimate leisure lifestyle has culminated in the creation of a premier golf and country club that has since become the leisure and pleasure domain of the elite in Malaysia – the Tropicana Golf & Country Club (TGCC). TGCC is situated amidst the lush and prestigious suburb of Damansara in Petaling Jaya, an exclusive 625-acre residential, leisure and commercial enclave that boasts the pleasure of resort living amidst city conveniences. Officially opened by Tun Dr Mahathir bin Mohamad, the fourth Prime Minister of Malaysia, the Tropicana Golf & Country Resort saw its grand opening on January 13 1996. 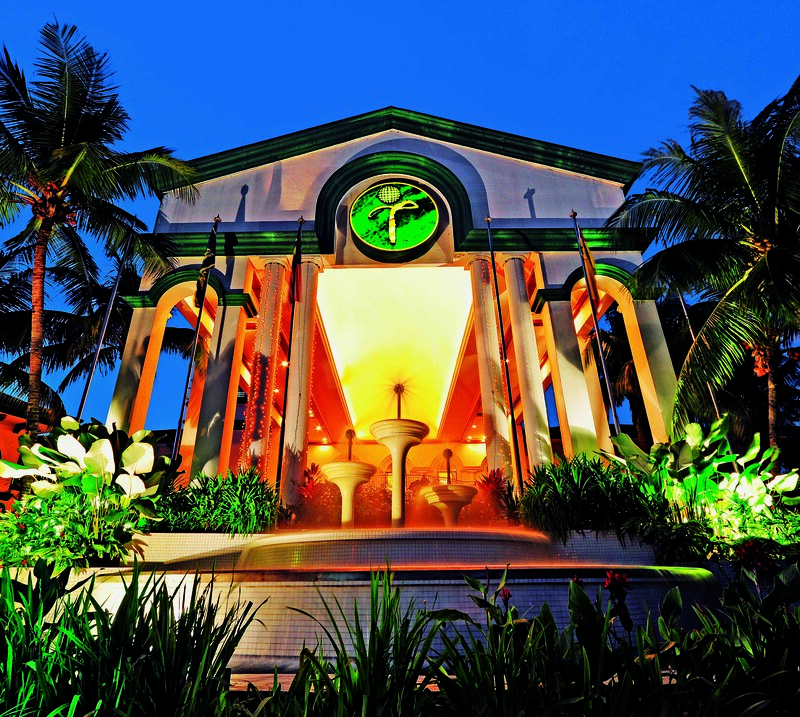 A decade later, the Resort and TGCC have become synonymous with the epitome of leisure living and total relaxation. Tropicana Golf & Country Resort offers unsurpassed country club comforts and facilities for both golf enthusiasts as well as the entire family. At the centre of the TGCC's success is, of course, the award-winning clubhouse, the largest, and some say, most magnificent, in Malaysia. The clubhouse is the centre of activities, entertainment, comfort, and the pride and joy of its members and residents of the resort alike. Our valued customers, employees and business partners form the cornerstone of our long-term relationships as we strive to deliver products of quality, coupled with excellent customer service and a high regard of corporate social responsibility. Embracing change is a hallmark of the Dijaya Group; anticipating the needs of our customers and the industry remains our focus in meeting future expectations in today’s borderless environment. Human capital is indeed one of our prized assets. We recognise that every employee’s contribution form the basis of the Group’s excellence. We aspire to maintain a performance-driven workforce momentum through strong leadership, good management practices and equal opportunities for advancement that will in turn provide encouragement and support for creative excellence. Teamwork and solidarity sets us on the way to accomplishing awe-inspiring achievements. With dedication and commitment, the Dijaya Group proves that a united front is integral to our success. Trust is a key factor in any relationship; as such, we go to great lengths to maintain ethical standards and punctuality in delivering quality and maintaining client confidentiality at all times. As one of the top property developers and management of the best clubhouse in Malaysia, we are committed to the continued improvement of our value and recognition by playing a key and valuable role in developing the future of our members, residents, visitors, partners, and employees. To develop and maintain a self-contained community that perfectly combines the carefree pleasures of country living and modern conveniences of city dwelling, TGCR enhance the quality of life and enjoyment by providing the ideal environment for work, dining, play and relaxation all within one’s reach. The Asia Pacific Property Awards 2010 in association with Bloomberg Television and it is part of the International Property Awards, the world's most prestigious competition dedicated to identifying the best real estate professionals across the globe. More than 19 different countries took part which includes new entries from Taiwan and Kazakhstan. Tropicana Golf & Country Resort, the chief resort development of Dijaya Corporation Berhad was named the Best Golf Development with the highest five-star rating in the Asia Pacific. Tropicana Golf & Country Resort also bagged the Best Golf Development award with the highest five-star rating in the Malaysia region. Tropicana Golf & Country Club continued its award-winning trend when it was awarded Top 8 "Best Golf Course in Malaysia" by Golf Malaysia's Readers' poll. Top 2 "Best Customer Service Club"
Tropicana Golf & Country Club continued its award-winning trend when it was awarded Top 2 "Best Customer Service Club" by Golf Malaysia's Readers' poll. The award for the Best Clubhouse / Facilities in Malaysia has been awarded to Tropicana Golf & Country Club for the past five consecutive years by Golf Malaysia's Readers' poll. Tropicana Golf & Country Club bagged the Top Prize in the Selangor State Government's Best Landscape Award in the Hotel / Tourism Complex / Condominium / Luxury Apartments Category. Tropicana Golf & Country Resort, a subsidiary of the Group, received the Leisure Development Award in recognition of its distinctive innovation from the Malaysian Chapter of the International Real Estate Federation (FIABCI). To further enhance the value of membership and the enjoyment of our members, Tropicana Golf and Country Club has reciprocal arrangements with several foreign clubs where members can enjoy country club facilities as part of their privileges (subject to terms and conditions). Address : 77 Binh Duong Boulevard, Lai Thieu Ward, Thuan An Town, Binh Duong Province, Vietnam.